Mary Catherine (nee Dempsey) Steigerwald, 89, of Mentor, passed away Wednesday, Oct. 10, 2018, at TriPoint Medical Center in Concord Township. Mary was born May 4, 1929, in Cleveland. 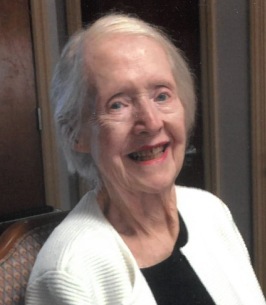 She loved her family dearly, was a longtime member of the Irish American Club-East Side Inc., in Euclid, member of St. Mary of the Assumption Church in Mentor, and a founding member of St. Paschal Baylon Church. Mary was the beloved wife of 68 years to William C. Steigerwald; loving mother of James (Laura) Steigerwald, Mary Pat (Chuck) Zganjer and Geralyn (Ken) Lynce; grandmother of Michael (Heather) Shultz, Anne Steigerwald (Aman, fiancé), Dresden (Will) Parker, Ali Shultz and Shannon Lynce; and great-grandmother of Scarlet. She was preceded in death by her parents, Patrick and Margaret Dempsey of County Mayo, Ireland; and sister, Patricia (John, dec.) Jubeck. Family will receive friends from 12:30 to 2 p.m. Monday at McMahon-Coyne-Vitantonio Funeral Home, 6330 Center St. (Route 615, north of Route 2), Mentor, where a prayer service will follow at 2 p.m. Entombment will be in All Souls Cemetery in Chardon Township. 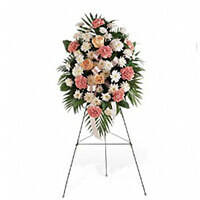 To send flowers to the family of Mary Catherine Steigerwald, please visit our Heartfelt Sympathies Store. A gentle soul has left us, into the arms of the Lord, we mourn not for her, but for ourselves having lost her light. Our deepest and most sincere condolences to the family. Heaven gained another angel that will never leave our memory.